For the past twenty years, the National Museums and Galleries of Wales have invested heavily in Wales’ industrial heritage. At its cultural homeland, the Museum of Welsh Life at St Fagans, NMGW’s original policy was to envision a Wales that was largely based around the experiences and interests of its founding curator, the Montgomerysire-born Dr Iorwerth Peate: that of a rural, Cymraeg-speaking, non-conformist mid Walian existence, which even by the middle of the twentieth century hadn’t changed much for hundreds of years. However, noting the importance of the iron, steel and coal trades on the nature of Welsh life and the makeup of its people was an important step in the evolution of this national institution, and one that has no doubt gone from strength to strength as a result. This new focus away from the agricultural interior, and towards the industrial heartlands of slate mining Gwynedd in the north (at the National Slate Museum) and the aforementioned industries of the south Wales Valleys at some of its other locations brought history home for people, and reminded them that there is more to learn than just state-sponsored narratives of Kings and Queens, which to me have a natural habit of being both essential and alienating at the same time. Despite this obvious success in bringing the historical context of its displays up to date, I am still trying to understand the curatorial decision to relegate WJ Chapman's Crawshay Portraits, which form part of National Museum Cardiff’s permanent Faces from Wales 1800-2000 exhibition until September 22nd, to the very back of the Historic Art gallery. In the 1830s, Francis Crawshay commissioned at least sixteen portraits of the workers at his Cyfarthfa Ironworks. These are the real faces of our ancestors, caught at a time of unprecedented immigration into this country, which changed forever both the landscape and the people who inhabited it. As the information board duly notes, ‘No other such images of industrial workers are known.’ Yet such was the lacklustre enthusiasm for this interesting and vital part of our collective history that a Museum Attendant when prompted on duty didn’t even know that they were being shown. Sure, Chapman, in his picture (above), ‘Thomas Euston, Lodge Keeper, Hirwaun’, shows nowhere near as much skill as Snyder in ‘The Poulterer’s Shop’ (Gallery Four) in terms of depicting small glimmers of emotion caught behind the face, but the cultural significance of Chapman’s (probably self-taught) work is worthy of a dedicated space instead of some obscure corner at the very back of the fifth gallery. But instead of this, we are given a pithy little sideboard with more info on Francis Crawshay himself than we are on the types of people who inhabit the pictures. They are made to occupy a small corner underneath the stairs; each one is on top of another in a tight collage of unfocussable panelling. Imagine trying to find a shopping list on your fridge door when it is covered in recipes, reminders and unpaid bills. Each picture is not given the space it needs to breathe, or to speak for itself – we can’t contemplate if David Davies has macular degeneration in his left eye or why he has a long staff in his right hand because we are distracted by John Bryant the Mine Agent, whose sartorial choices (if he had any, being of the aspiring middle-management class of the time) make him look like he should be bringing in his catch down Barry Dock after a deep sea trawl. Maybe the curator thought this primitive artist of an insufficient standard for his work to be exhibited in a solo environment. He is certainly no Josef Herman or Alfred Janes, who both have startling modernist paintings on show, respectively, of Dannie Abse and Dylan Thomas. 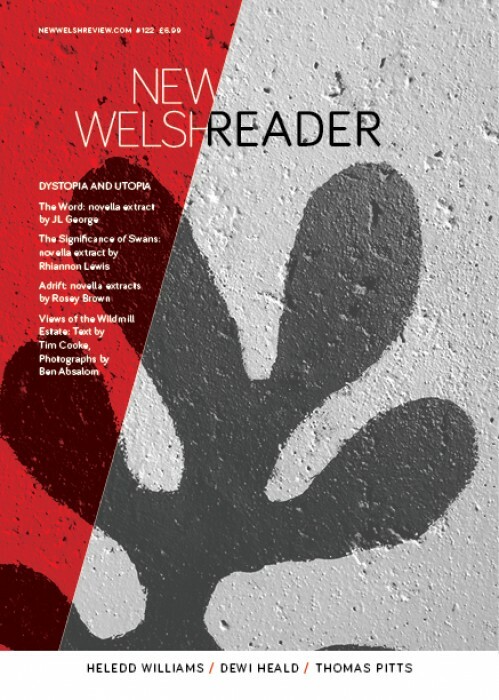 But for his time and period, Chapman captures something about what it is to be Welsh. This seems more worthy of a bit of dedicated space than NMGW’s other ‘Welsh’ figures of this time, such as the industrialists Richard Crawshay and Thomas Asheton-Smith, or the military man Lt Gen Sir Thomas Picton, the 1% of their day if ever there was one. This is hardly representative of the larger, radical movements that were having their genesis moments in Wales in the 1830s, such as the Rebecca Rioters, Scotch Cattle or the Chartists. I fear that NMGW are missing a trick here. If we want to see endless pictures depicting status and power, we always have the National Portrait Gallery, which naturally does a much better job. After all, before the camera came along at the end of the 19th century to bring down the cost of depicting scenes and faces, it was only the rich who could afford portraits, and Francis Crawshay gave us something special in his commission for portraits of the workers at his Hirwaun Ironworks. If we want to see pictures of the real faces of Wales from times past, you would expect to see them in NMGW’s flagship museum in the capital – but not sulking in the corner at that.